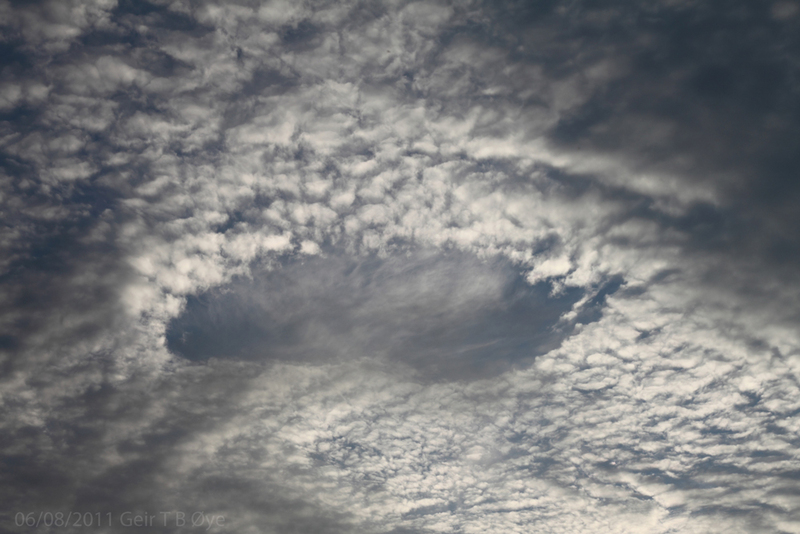 This Hole Punch Cloud was visible on the evening sky over Ã˜rsta, Norway. Photo taken at about pm 9. This entry was posted in Nature on June 9, 2011 by admgeiroye.